Digital Subscriptions > General Interest > Education & Literary > Vallum Magazine > 11:2 "SPEED"
Single Digital Issue - 11:2 "SPEED"
Poems of Speed and Travel. 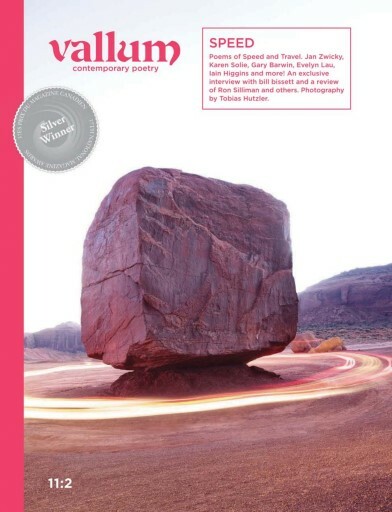 Jan Zwicky, Karen Solie, Gary Barwin, Evelyn Lau, Iain Higgins and more! An exclusive interview with bill bissett and a review of Ron Silliman and others. Photography by Tobias Hutzler.